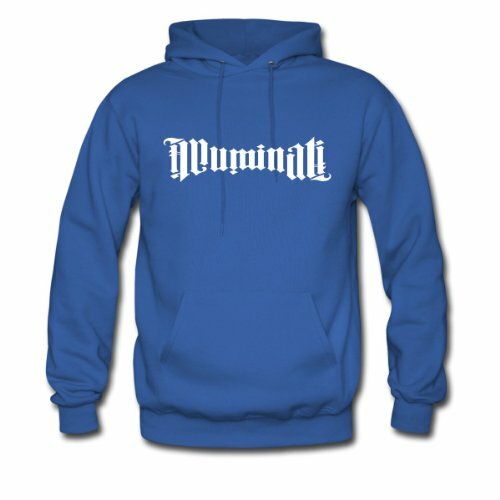 illuminati ambigram Hoodies. This lightweight pullover hooded sweatshirt for men is comfortable and stylish. It has the classic kangaroo front pocket, drawstrings at hood and set-in sleeves. Reinforced cuffs and waistband add extra durability. The material is made from 50% cotton and 50% polyester and has a fabric weight of 7.8 oz. Once your purchase is complete, we print your product on-demand, just for you. This is how we provide one-of-a-kind articles that our customers love. An added benefit: On-demand printing reduces waste and is environmentally friendly!.